Exploring the World outside your Front Door. Have you ever explored the area you live in? It’s a common neglect most people make. I used to live in New York City but it took me moving out or having a friend visit to actually do some of the touristy things I should have done while I lived there, like going to Ellis Island and the Statue of Liberty. But why does it take someone else visiting or you to move to appreciate what’s accessible to you in your hometown? Granted some people live in a small quiet community where there may not be a museum or a national park but I’ll guarantee that there is something worth while within an hour or two driving distance from where you live. Since moving to Las Vegas in October I still feel like a tourist in some ways. Recently my parents visited and I was able to truly take advantage of being a full fledged tourist. Granted I do live in a huge city but we went out of the city to see what was within an hours drive and found some spectacular examples of God’s creation. Red Rock Canyon. One of those typical jaunts you make when you live in Vegas. It’s just so accessible and only a half hour West from most places in Vegas. Red Rock Canyon is a state park and it costs $7 to enter the park but does accept your America the Beautiful Park pass, which when you live out West is an essential pass to get. 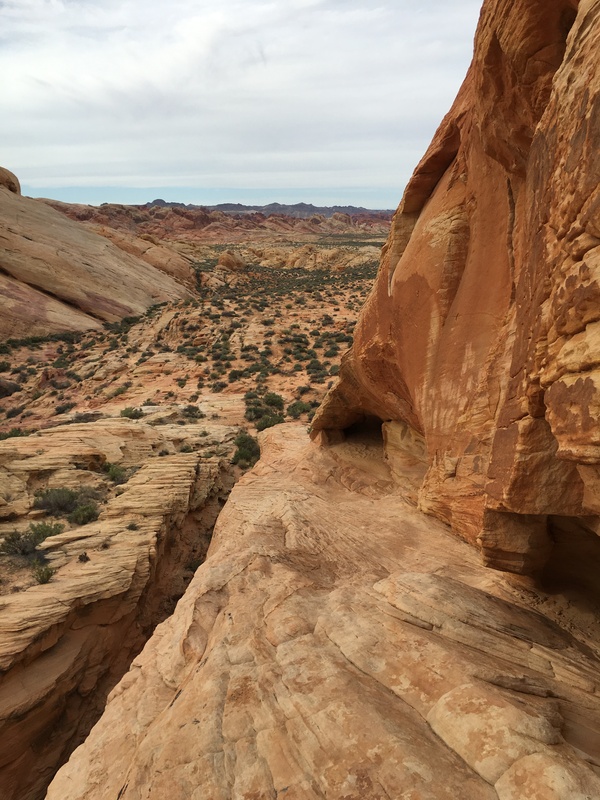 There are a tremendous amount of hiking trails and climbing available within the park as well as guided tours and the majority of the park can be navigated by car. You’re placed on a one way road that winds through the park, at a top speed of 35mph, it gives you the chance to easily take a pull off or just leisurely cruise through the park. It’s a must see when you visit the Vegas area. 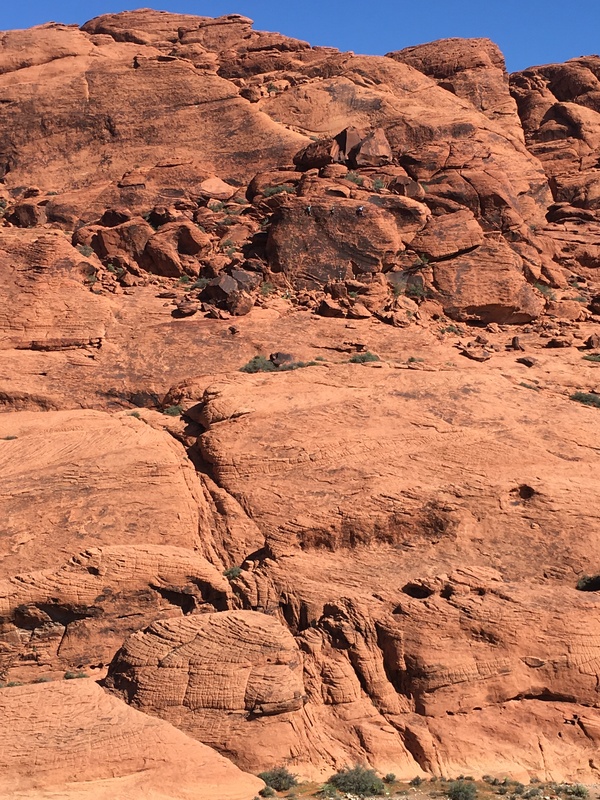 Below is a section of the red rocks and if you look carefully you can see climbers in the middle of the picture. I don’t believe this pictures does it justice. In the first week my parents were here we were able to cram a lot of sightseeing in. The next day we went out past Henderson to Lake Las Vegas. Lake Las Vegas is a development just outside of Vegas surrounding a man-made lake. The development has a decidedly European flair and boast a replica of Ponte Vecchio from Florence, Italy. It is quite beautiful there, with its lush vegetation and pristine golf course, it’s an oasis in the desert. Unfortunately when we were there most of the shops and the Casino on property were closed. It looked very much like the area was still in development but none the less we had a wonderful lunch at an Italian bistro overlooking the lake. There are still plenty of activities to participate in there, such as kayaking, paddle boarding, boating and golf. Real estate in the area is very expensive so if you’re looking to live in this resort the least expensive housing started at $500K. However it is a nice little side trip to take. That same day to shake off the introspection that automatically covers you, we ventured out to the Valley of Fire, which is about a 45 minute drive from Vegas. This is one of the color variations we saw. 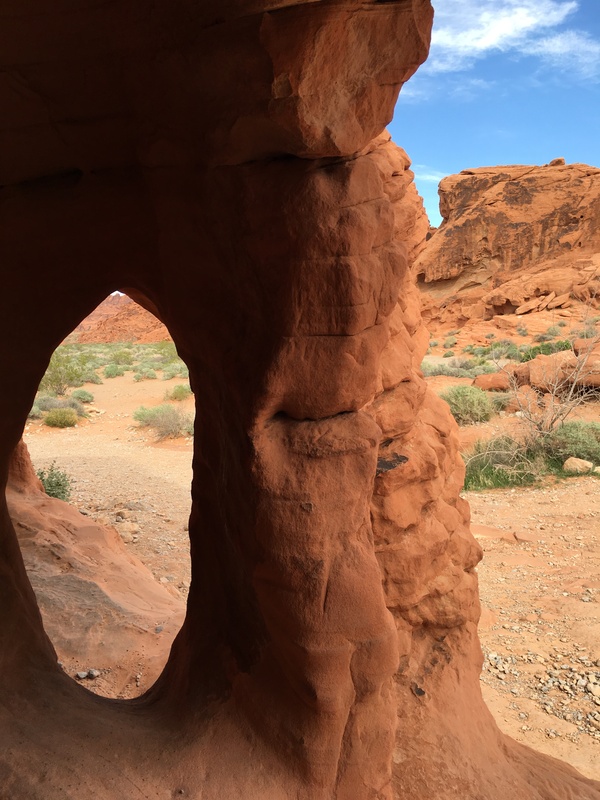 Valley of Fire State Park is well worth the trip. Around every corner is a breathtaking vista. Entrance to the park is $10 per car unless you are a Nevada State Resident or handicapped and then the price is reduced to $8. There is camping available within the park but it does fill up fast so book well in advance. With this natural wonder so close to Vegas proper it is well worth the side trip if you are ever visiting the strip. The last side trip we hit was Spring Preserve. Spring Preserve is an incredibly well done interactive museum. We were not sure what to expect. I knew there was a botanical garden within its property but the thought that went into the exhibits was so well done. Having my Master’s degree in Art Business I sometime over critical to a museum set up, display and it’s flow. I was so impressed with this natural history museum. Exhibits allowed for interaction and dissemination of information in snippets easily accessible to all ages. We spent a whole day exploring the different exhibit spaces learning about the Nevada desert and it’s history. 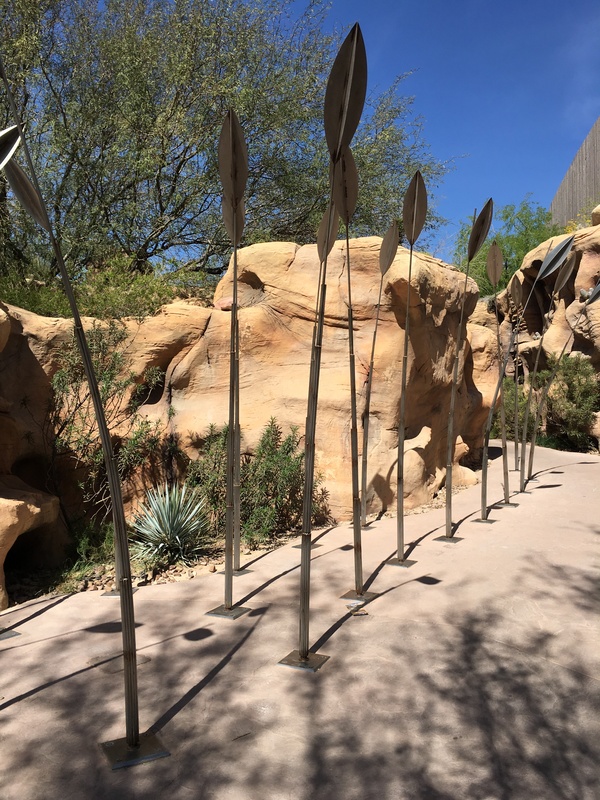 The Nevada State Museum on site is closed on Tuesdays and Wednesdays so make sure you’re there when all the areas are accessible. Entrance to the Preserve is $20 for non-residents and $9 per person for residents of Nevada, the military and other service personnel. The preserve has an amphitheatre and several conference rooms which are available for weddings and corporate functions. There were so many other places to visit within an hour drive but we didn’t get to all of them but I plan to. What’s in your backyard? When you take the time to explore your surrounding you’ll be surprised by what’s available to you. Try a new restaurant or visit that museum you’ve always meant to, you might just find a new favorite spot. As always Travel as you desire.